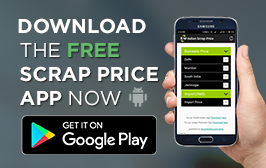 “Chinese scrap has slowly and steadily started finding its way into the global scrap market. 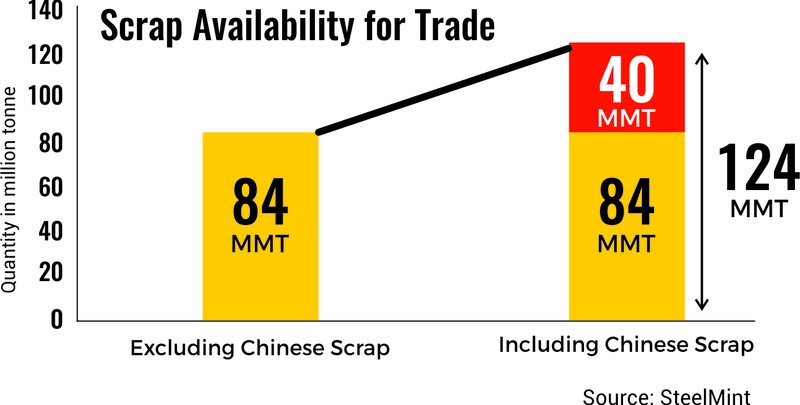 With the likely closure of scrap fed mills, the volume of scrap reaching the market will reach a level where there will be huge structural disruption in the global scrap market, both in terms of trade and pricing. Will this disruption last for a short period or will it alter the market dynamics sine die”. Steel is undoubtedly the most indispensible material in the modern day technology driven society. It has been in use for over thousand years and has been produced in various ways, be it through the use of iron ore, coke and fluxes or be it through the use of scrap. Steel is considered timeless as it is 100% recyclable. According to the World Steel Association the recovery and use of steel industry by product reached a worldwide material efficiency rate of 97.3%. The global scrap consumption in 2015 stood at 650 mnt (million metric tons). While the global seaborne trade of scrap stood at around 84 mnt in 2015 (about 7 mnt per month). Scrap has become an important component in Chinese steelmaking. Between 2010 and 2015 where the crude steel production grew by 26%, the scrap consumption for making crude steel grew by almost 34% . The production of crude steel in China in 2015 stood at 803.83 mnt. Of which 6% was through EAF route which comes to around 48.23 mnt. The IF route produced around 40mnt of Crude Steel while the figure for the BOF route stood at 715.60 mnt. The scrap intensity in EAF route in China is around 550 to 600 Kg/ Ton, at a charge level of 600 Kg / Ton this translates into 28.94 mnt of scrap usage in the EAF route of Steel Production. In the IF route the scrap intensity is around 1000 -1100 Kg per ton of crude steel made. At 1000Kg per ton of crude steel this translates into 40mnt of scrap usage for 40mnt of crude steel produced through IF route. The Iron and Steel foundries in China are reported to have consumed about 15 mnt of scrap to generate about 30 to 35mnt of foundry products. 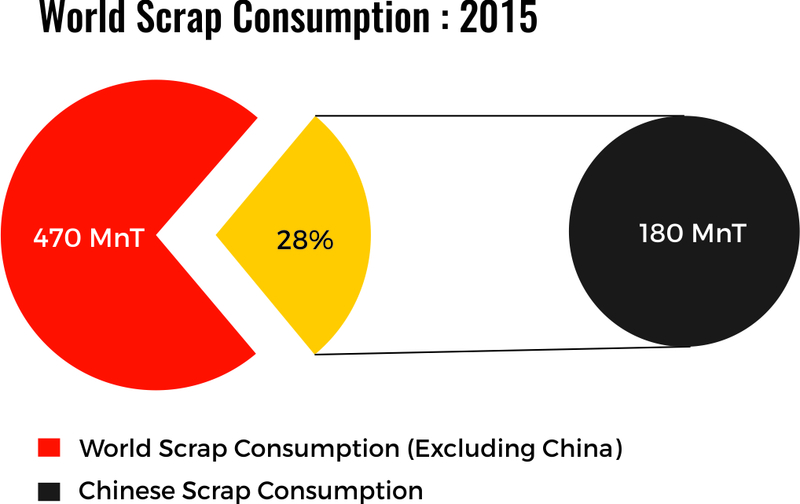 As per McKinsey report the total scrap consumption in China in 2015 stood at 180mnt. This translates into 96.06 mnt of scrap used in BOF route at a scrap intensity of 134 Kg per ton of steel produced. What happens if the Chinese authorities succeed in achieving what they have set out for by the due date? If the Chinese authorities succeed in achieving what they have set out for by 30th June we are looking at inflow of almost 5.75 mnt of Scrap per month in the market over and above the 7 mnt already available. And if they succeed in demolishing only the IF capacities by the due date then we have a situation wherein about 3.33 mnt per month of scrap suddenly becoming available for trade. This sudden influx will lead to sharp drop in prices of ferrous scrap totally altering the trade dynamics. In Asia the scrap trade emanating from US, Europe and Middle East will become unviable owing to logistic costs involved. A recent manifestation of this has been scrap export to Vietnam from China, wherein the price of scrap sold was USD 175 FOB China against price of USD270 / Ton CNF Vietnam. During the week of May 8, Taiwan was reported to have booked Chinese origin shredded grade scrap at USD 240 CFR Taiwan ( Since China has 40% export duty on scrap and assuming USD 5 as the freight the effective FOB price comes at USD 167) . On May 10th it was reported that Japanese Steelmaker Kyushu works received a small shipment of scrap from China. As per Platts, regional scrap importers Tokyo Steel and Taiwan's Feng Hsin have ordered trial lots of Chinese scrap, while South Korea's Hyundai Steel is inspecting scrap in China this month. Chinese material has even been offered into India, with talk that some containerized sales have been completed. Reports dated May 17, stated “In South Korea, mills were not interested in US deepsea cargoes after the recent emergence of Chinese scrap exports about four weeks ago”. The buyers have started demanding a price lower by USD10-20 for the US deepsea bulk heavy melting scrap I/II (80:20). Though the steelmakers have booked small shipments as of now, speculations are rife that they are evaluating the scrap quality. Once the quality is proven and found up to the mark, Asian scrap buyers / traders heading China for their supplies instead of conventional suppliers is a foregone conclusion. In 2015 Asian countries imported 26.5 mnt of scrap. With almost 40 mnt of scrap becoming available next door that too at a cheap price will force the existing suppliers either to look at new markets or just simply drop the price and bear the brunt. The chances of latter are very high leading not only to reduced margins but will also result in lot many traders exiting the business. How long with this scenario continue? Lets presume that China replaces the all the IF capacities with EAF capacities, this will require additional 66.67 mnt of EAF capacity to be setup to consume the 40 mnt of scrap unused by Induction furnaces. Assuming a lead time of 18 to 24 months to set up an EAF unit (provided all the units are setup simultaneously) we are looking at a period of 24 months during which the scrap trade will be disrupted and disrupted badly primarily because the companies collecting and trading scrap would rather like to encash the scrap by trading it rather than piling up their scrap reservoir. Moreover the steel demand in china has already touched its peak in 2014. Despite some factors working to increase demand, including urbanization and development of Western China, China’s steel demand will continue to fall modestly in the medium to long term, mainly because of slow economic growth— particularly stagnant growth of steel-consuming industries, including construction and manufacturing. At the same point of time the infrastructure in china is entering into replacement phase with huge quantities of obsolete scrap getting generated each year. As per a McKinsey report China’s scrap supply is likely to grow at the rate of 4-5% per annum reaching a level of 340 mnt by 2030 up 160 mnt from 2015 levels. The question remains where this extra scrap generated per year will be consumed. Will china setup EAF capacities to consume the extra scrap? Highly unlikely. Electric Arc Furnaces require a good amount of electrical power to operate, and the present power situation of China does not permit the same. 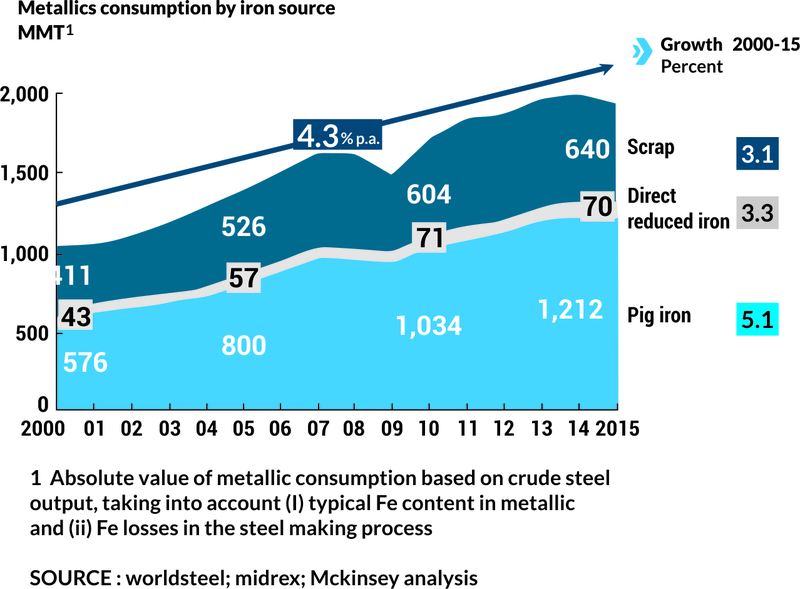 Can China consume the increased quantities of scrap in steelmaking through BOF route? A small quantity yes, but not the whole. 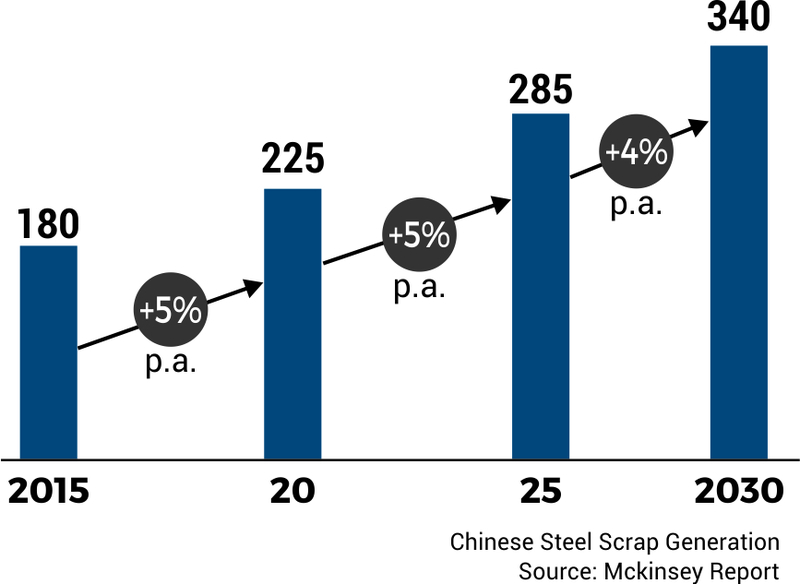 The reasons being currently the scrap intensity in Chinese BOF is around 134Kg/ Ton of crude steel produced, in most developed steelmaking facilities this figure is as high as 180-200 Kg. So only a small amount of additional scrap can be used over here. Decline in Chinese steel demand coupled with increasing protective measures adopted by countries where China has been dumping finished and semi finished steel will force China to open trade in steel scrap instead of converting the same into finished steel and trying to sell it. BOF manufacturers may look for newer technologies so as to increase their scrap intensities. How soon these technologies can be developed and implemented again begs an answer. But till answers are found we are in for a period, where the scrap prices will be southward bound, China will become a happy hunting ground for scrap traders and the conventional scrap yard owners will face a tough time operating at the current price levels. This disruption will last long enough to alter the trade dynamics for a prolonged period if not permanently & establish Chinese scrap prices as the new normal.